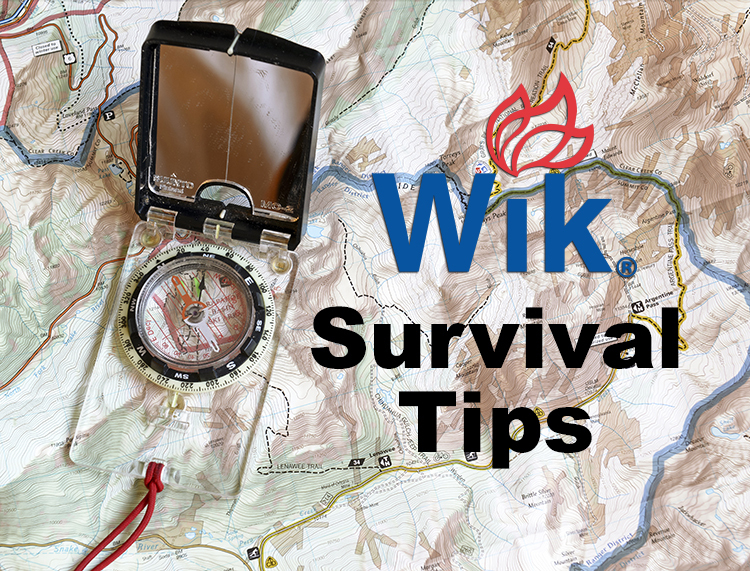 Wik Survival Tips: Food - Kelmin Products Inc.
Do you like to camp, hike, rock climb, kayak, hunt, fish, or basically anything else outdoors? Or have you ever been caught with no power because of a hurricane, tornado or just a common thunder storm? If so you may be forgetting one thing that may save your life, a can of Wik Chafing Dish Fuel! 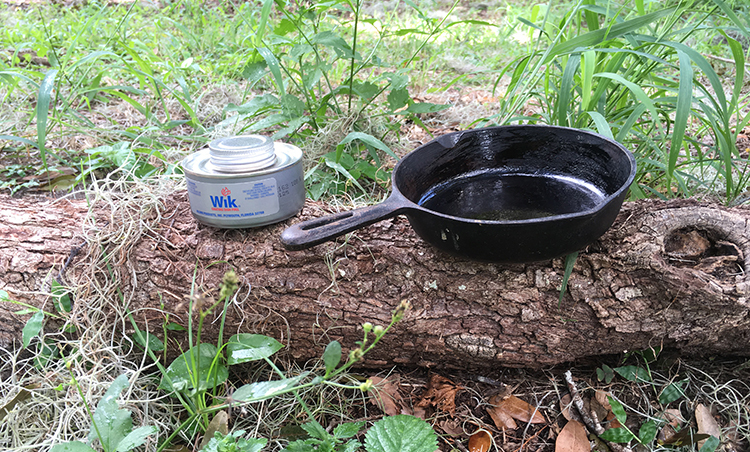 Pick up a couple 4-hour Wik Chafing Dish Fuel cans and stash them away in the bottom of your backpack or the back of your pantry. This way you can use them if you need them, but otherwise they aren’t taking up too much space. What are some of the benefits of having 4-hour Wik Chafing Dish Fuel on hand? Heat – You don’t need to worry about finding dry wood. Light Weight – two cans of 4-hour Wik Chafing Dish Fuel don’t weigh much more than a couple pair of heavy socks. 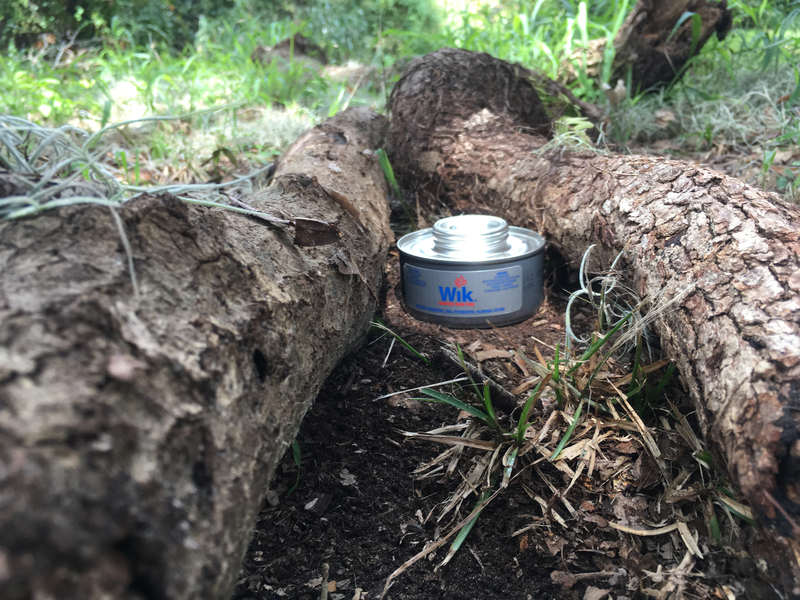 No need to carry a camping stove and add bulk to your backpack. Convenience – One flick of the lighter and you have heat. How many times have you gotten to your campsite and there is no dry wood, the sun is going down and you haven’t eaten in hours. Or a storm has knocked out your power. 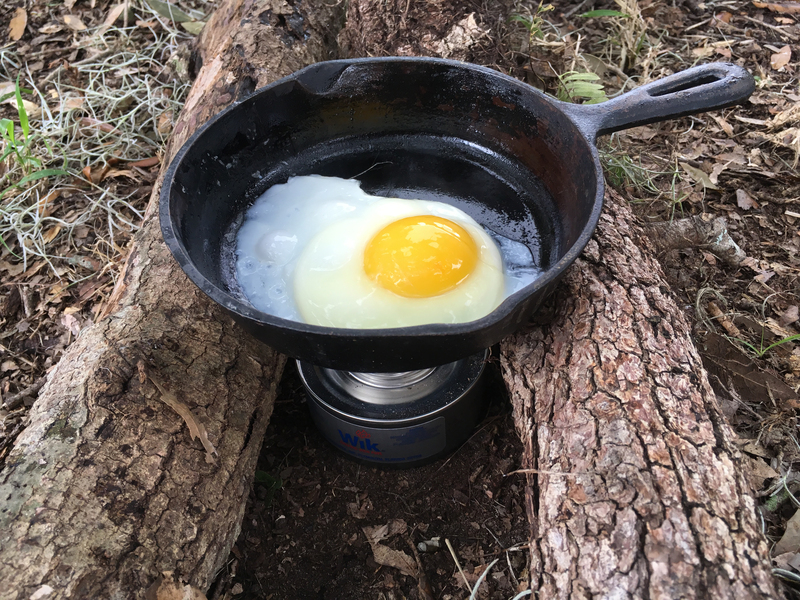 We set up a DIY cooking station to fry some eggs, and you can do it anywhere. All it takes is a creative use of the forrest or random home supplies, a few supplies that you have brought with you, and an appetite. First you’ll want to search for a couple decent size logs that will hold your pan. Make sure to find one that will be taller than your Wik Chafing Dish Fuel can, so there is about an inch or two of clearance. If you are doing this at home, you can search for rocks or bricks if not tree limbs are available. This will do two things. One it will make sure you don’t snuff out your flame when you place your pan on the logs, and two it will keep your Wik Chafing Dish Fuel close enough to the pan to give it the proper heat to cook your food. Set the logs (bricks, rocks, etc.) up so there is enough room in between that your Wik Chafing Dish Fuel will be able to fit, but not too far away that your pan falls through. Clear the ground between the logs to make sure there is nothing that will catch fire and to ensure the surface is flat. 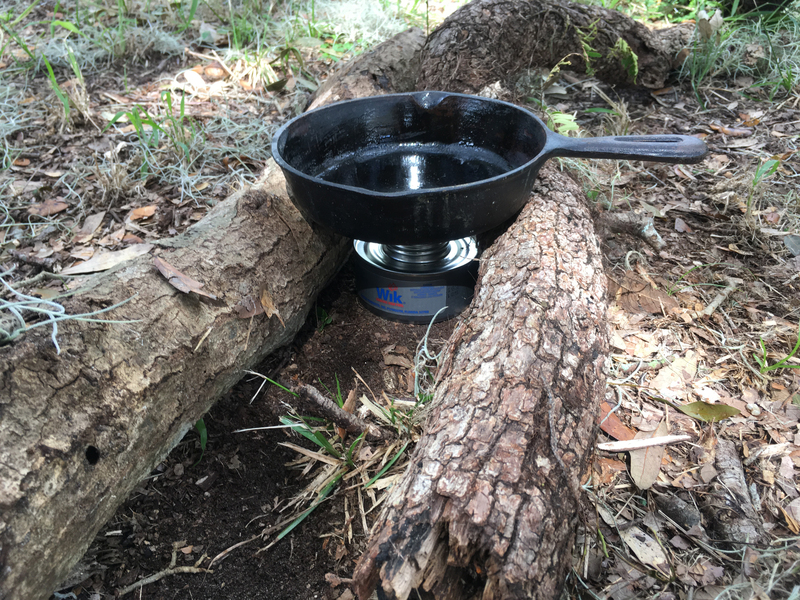 Place your Wik Chafing Dish Fuel can between the logs. Once the can is stable and in the position you would like to use it, unscrew the cap, and light. After the can is lit, place the pan above your Wik Chafing Dish Fuel can and let the pan pre-heat. The logs (bricks, rocks, etc.) work not only as support for the pan for cooking, but also to help block the wind from blowing the flame around. Once pre-heated you can fry your egg as you would at home. For this example the pan took less than 10 minutes to heat up and no time at all to fry the egg. This is an easy and quick way to get fed and give you ample energy for your adventure. If you have access to a chafing fuel ring, they are another easy way to use the heat Wik Chafing Dish Fuel provides. 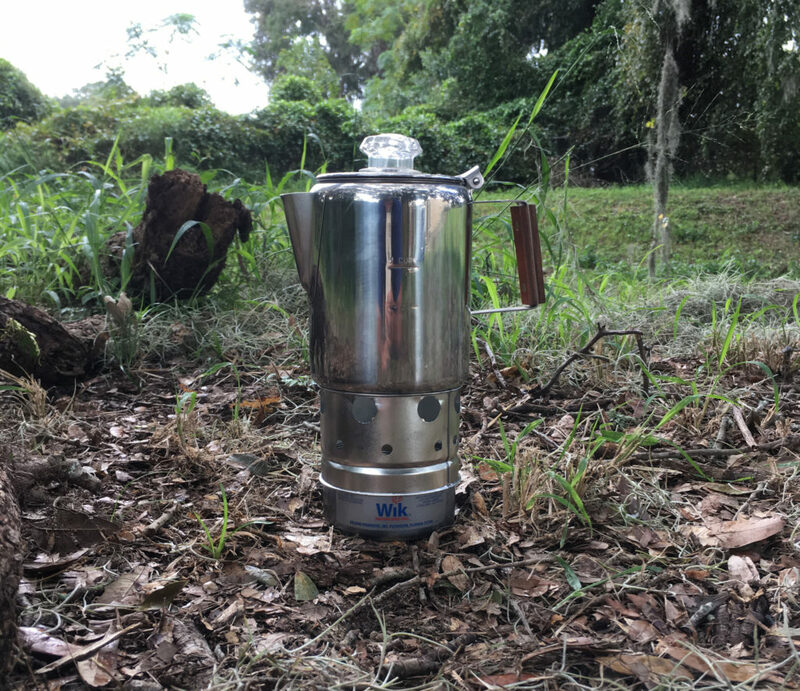 It fits around the can and you can set your pan, coffee pot or anything you need heat without having to search the woods or your house to find something. Hope you enjoyed this segment of Survival with Wik and we can’t wait to bring you our next installment!